Living the John Maxwell Philosophy–Leadership is influence; nothing more, nothing less. I love the picture associated with this post. I took it a few years ago when my wife, Ellen, and her siblings decided to celebrate Christmas together in historic Williamsburg, VA. Christmas morning, we were waiting to eat a special breakfast at one of the taverns and I caught sight of this little critter enjoying his Christmas feast, too. The decorations in Williamsburg are quite festive in December and the outdoor decorations are largely made from materials available in the 18th century. This means real fruit and other goodies. An interpreter told us that they have to change the fruit out weekly because it provides such a feast for all the animals domiciled in the town. We were very glad we took this time together. Within the year, Ellen’s great aunt Elsie had passed away at 96. A couple of years after that, so did Ellen’s mom. I tell you this not to evoke sympathy but because I want you to understand how profoundly grateful we were for that time together. Mr. Squirrel’s feast in this photo reminds us vividly of that special time and the memories we built. Mr. Squirrel demonstrates the power of imagery. In this case, a metaphor captures it for all of our family, transporting us back to a significant event in our lives. It evokes powerful emotions whenever we see it. Why not go out today and find pictures of times when you were really successful, happy, living your dream? Assemble them someplace easy to find and next time you are feeling the opposite, pull out these pictures and remind yourself of the things that really matter. Inspiration from the past is good, but Leaders should have a clear image of what they want. One of my mentors, Paul Martinelli’s tag line is “Hold Your Image!” Having a clear, vivid picture of what you want always in front of you is critical to the leader’s ability to move him/herself forward. It is also critical to help followers inspired to move along to the finish. Not ready to take on a challenge that big? Then take your most important goal and do the same thing. Imagine how you and your team will feel when you have achieved your goal. Picture the outcome exactly. Imagine your team accomplishing the goal with plenty of time to spare and in good spirits. Think about the value completing your goal will bring to the team and to others. Imagine the whole scene: sights, sounds, smells–everything. The more detail, the better. Now write all of this down so that you can remember it and share it with the team. Having trouble with vision? Consider participating in one of the Masterminds forming in January. One of the areas we will work on in the 21 Irrefutable Laws of Leadership and Foundations in Personal Leadership Mastermind groups will be clarifying your purpose, vision, and goals. Go to my website for more information. As you are imagining the success of your effort or the life you will be living one day, don’t forget (especially in this Holiday Season) to be grateful for that future state. If you believe that you will achieve your outcome, why not start being grateful now? Gratitude is one of the key themes of the Holiday Season, whether you celebrate Christmas, Hanukkah, Kwanzaa, Pancha Ganapati, or other winter solstice celebrations. Gratitude is a powerful force. Not only does it evoke pleasure, it is a weapon against negative feelings and attitudes. It is very difficult to be angry or fearful when one is grateful. So take time to be grateful in all things this season; but make special time to include gratitude in your vision of things to come. May you have a blessed Holiday Season. Merry Christmas to my fellow Christians, and Happy Hanukkah to my Jewish friends. 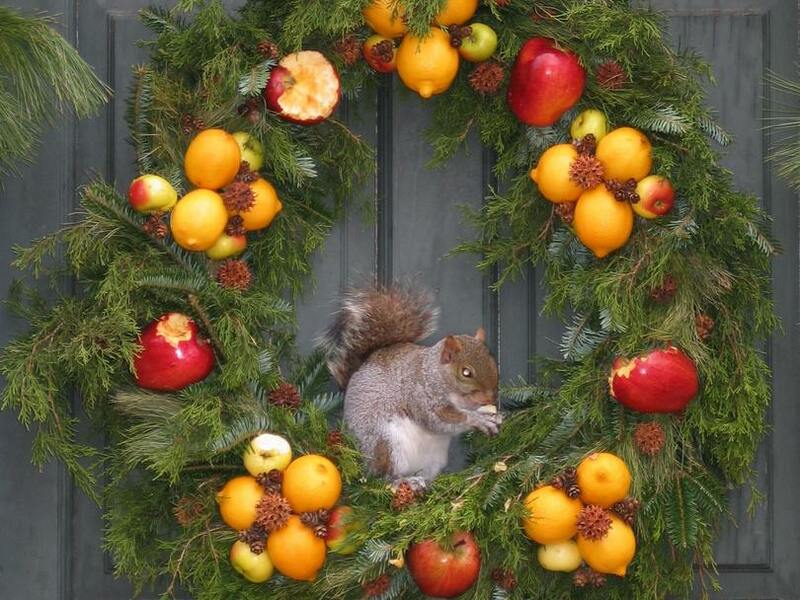 Tags: Christmas, Gratitude, Hanukkah, Leadership bias, Pancha Ganapati, Paul Martinelli, Reflection, squirrel, Vision. Bookmark the permalink. Previous post ← What is Excellence? Excellent post, we all need to realize how grateful we should be, especially with friends and family. Entrepreneur, Executive Coach. I add value to organizations and individuals by helping them DEFINE their goals and BECOME what they need to be to progressively ACHIEVE their purpose. Like what you read? Enter your email and receive notice of new posts to Leading in the 21st Century.